Jamar Mozee is a Kansas City Native, born to Patricia and Leon Mozee. He had the privilege of being a student at the inception of Harvest Christian Schools, better known today as Faith Academy. His mother also served as a Teacher at this historical private christian institution. 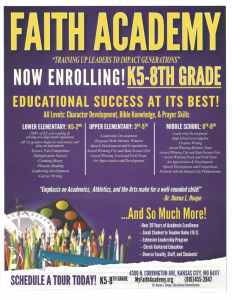 Faith Academy’s greatest impartation in his life was the idea of “Big”. Through Bishop Houpe’s teaching, mentoring, and leadership style he was able to witness a leader’s ability to create something “Big” from just about nothing. This concept was a repetitive mantra for the students of Faith Academy and would play an instrumental part in most of his achievements. After graduating from Faith Academy, Jamar attended Blue Springs High School where he became a stand out football player. He was voted as two time All Conference, two time All Area, two time All District, two time All Metro, two time All State, and a two time All American. He was also voted two time Missouri Gatorade Player of the Year and two time USA Today Missouri Player of the Year. These accolades produced an opportunity of forty football scholarships. He chose to attend the University of Oklahoma where he played for the legendary Bob Stoops. While attending Oklahoma he played on the 2000 National Championship team and won two Big 12 Championships. Jamar would receive his Bachelor of Art’s Degree in Communication from Nicholls State University. After graduating from college, Jamar tried out for the Oakland Raiders as a free agent. In 2005 his life would come full circle, as he returned to Faith Academy as a teacher and football coach. This experience birthed his passion for coaching young men. He believes football provides an opportunity to gain life skills that transcend off the field. The ultimate benefit of football is discipline, hard work, and the importance of team – components necessary for great success. These life skills would undergird him as he developed his career as a High School football coach. 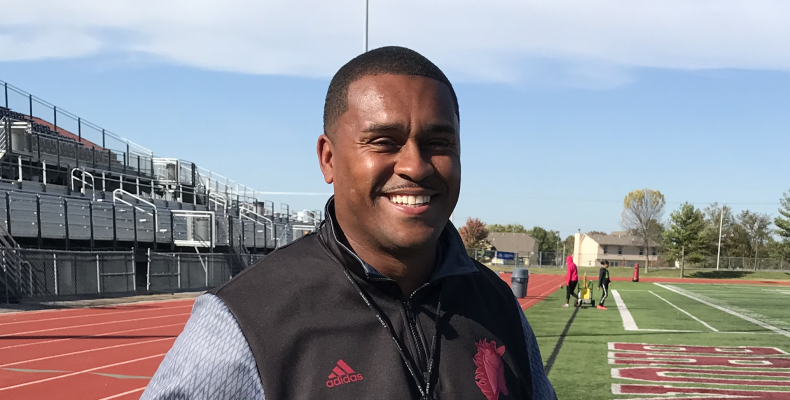 Today he serves as the first African American Head Football Coach in the Lee’s Summit School District and Class 6A Kansas City Metro area. In the last three years at Lee’s Summit North High School, he has had to apply the idea of “Big” instilled in him as a boy at Faith Academy to his players and his staff. His team has moved from being ranked last to now 10th place in the state of Missouri. Jamar’s team has been recognized as Team of the Week (twice), He has been recognized as Coach of the Week by the Kansas City Chiefs (twice), and He was nominated Coach of the Year Runner up (twice). He recognizes that Faith Academy instilled in him the concept of “Big” as it relates to this “Big” God he serves. This character of God helps him in every area of his life. He is a proud husband of Kaisha Mozee and the proud father of Isaiah and Patricia Mozee.